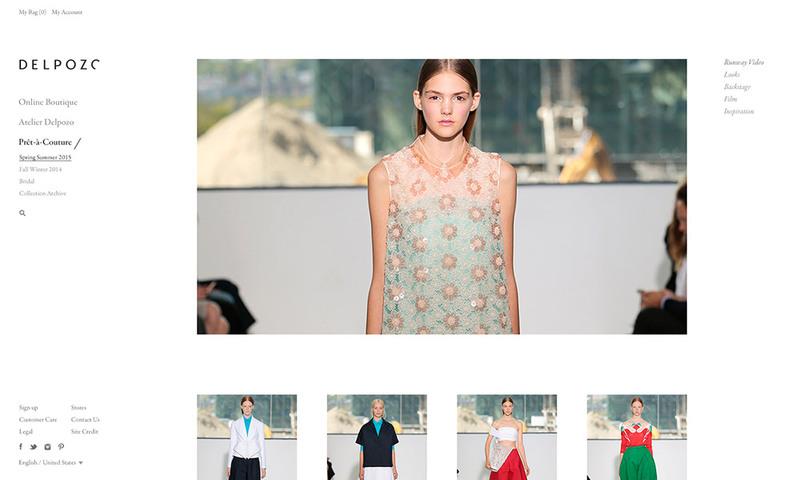 Delpozo is a luxury prêt-à-couture fashion house based in Madrid. 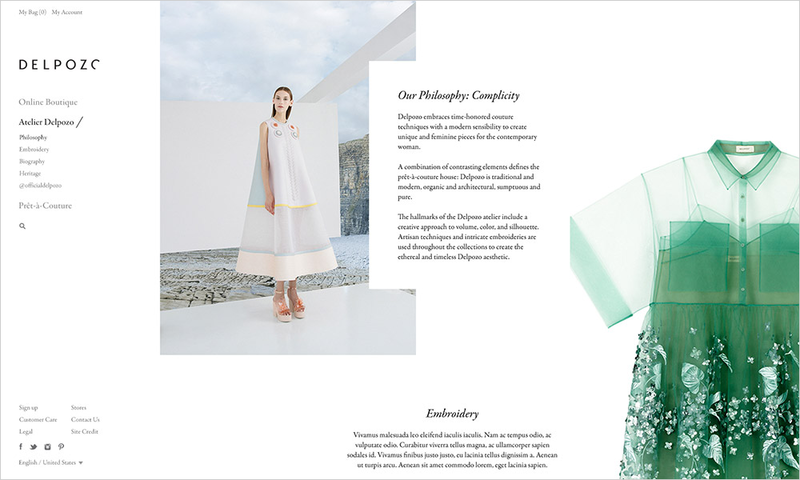 The collections are as visionary and refined as works of art – fresh and simple, radiant with playful interaction between colors. 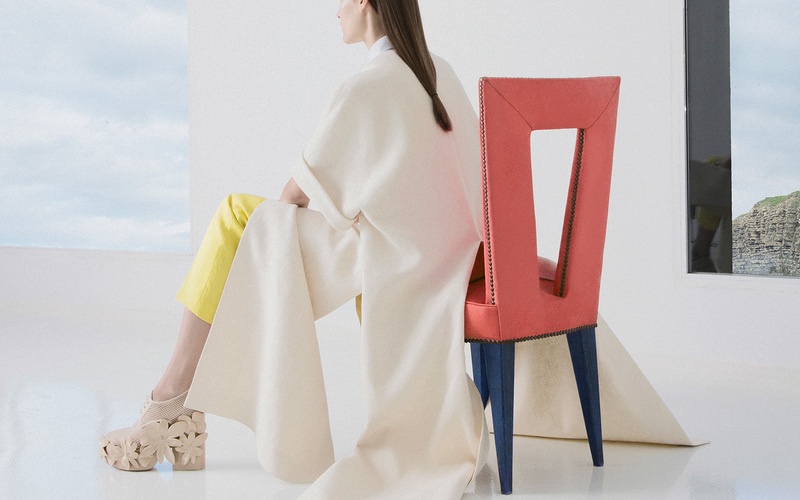 Sculptural silhouettes meet a high level of seamless craftsmanship to create memorable pieces. 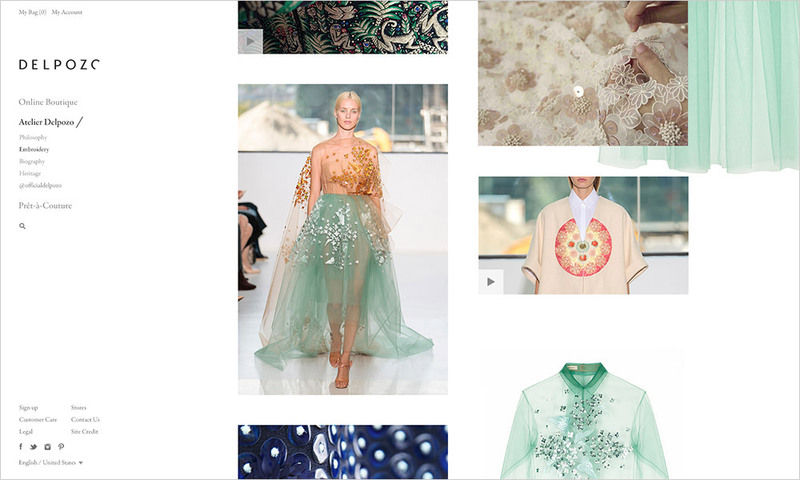 Our job was to guide the consumer through the brand and let them fall in love with the product. 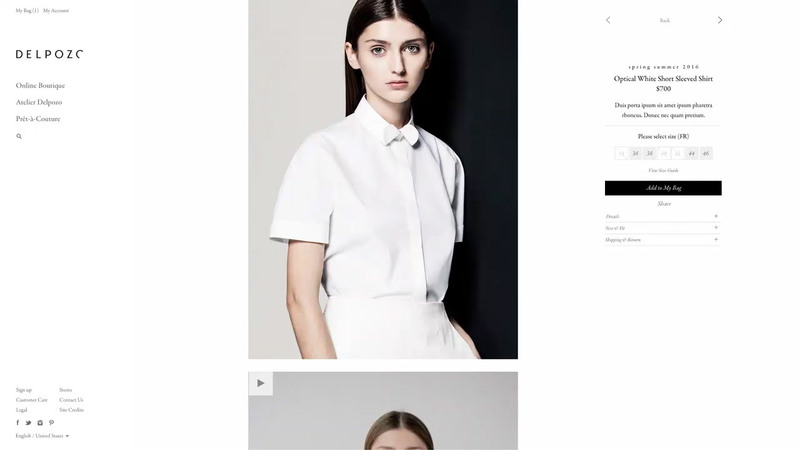 We crafted a digital world that gives the product a voice of its own through simple, understated design. 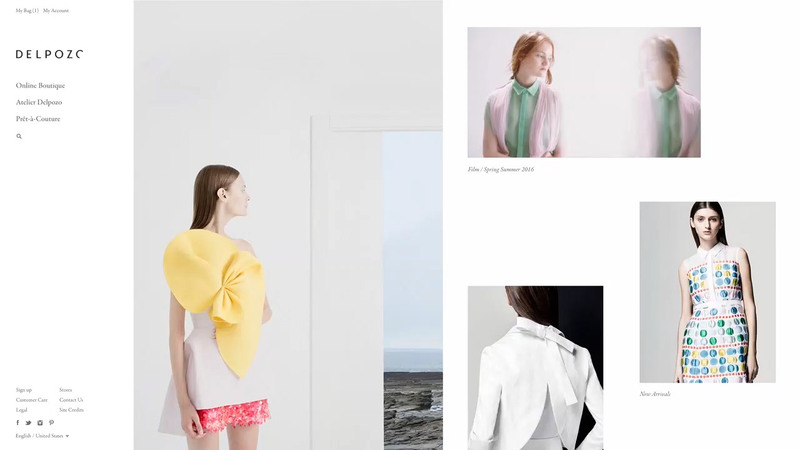 We designed product pages to feature video content that highlights the exceptional quality, attention to detail, and creative silhouettes of Delpozo’s creations, providing a more visceral experience for online shoppers. 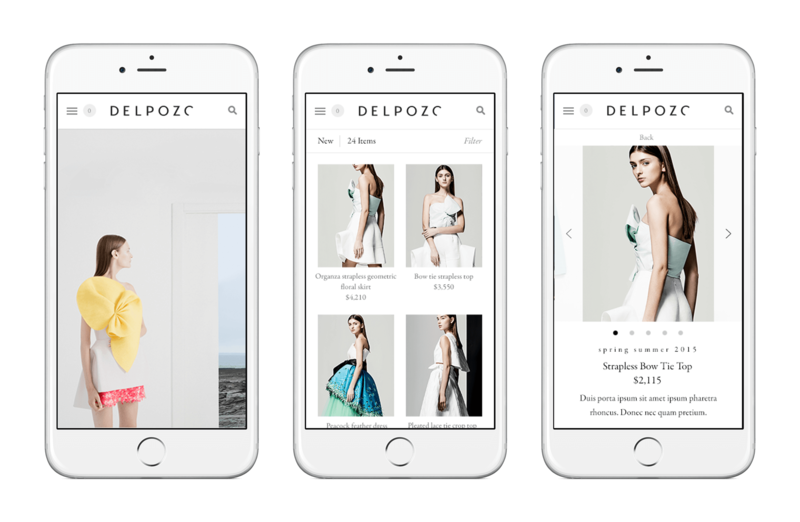 The Atelier Delpozo presents the inspiration and personality of Delpozo through a mix of brand philosophy, brand history, and social content aggregated from across multiple platforms, all powered, along with the online shop, by the Sellect eCommerce platform.